The federal government and states overpaid an estimated $14 billion in unemployment benefits in fiscal 2011, or roughly 11% of all the jobless benefits paid out. Overpayments are a rampant problem in the unemployment insurance system. The federal government and states overpaid an estimated $14 billion in benefits in fiscal 2011, or roughly 11% of all the jobless benefits paid out, according to reports from the U.S. Labor Department. The overpayment typically results from an administrative error made either by the government, the employer, the worker or a combination of the three. In much rarer situations, people deliberately defraud the system, using fake documents or identities. Common scams involve prison inmates, illegal immigrants or even the deceased. Ryan Greminger, 36, of Richmond, Ind. collected unemployment benefits while serving two years in a county jail for a drug-related crime. "It's not like some big scheme I thought of," he said. Greminger had been laid off from a factory in 2007 and was originally collecting unemployment benefits legally. After he landed in jail, another inmate urged him to keep filing the claims. "I paid this guy $50 each time to have his girlfriend -- a woman I had never met -- file my unemployment claims." Greminger said he knew it was wrong at the time, but he went along with the plan because he needed child support money for his fiancé and their four kids. Out of prison now, he's currently working to repay more than $14,000 to the state. "I accept responsibility for what I did. It was wrong. It was a mistake," he said. "I'm paying for it now." Vice President Joe Biden is charged with leading the Campaign to Cut Waste, an initiative started last year that aims to cut overpayments at federal agencies. Unemployment insurance boasts the second highest rate for "improper payments" of any federal program, behind the National School Lunch Program. "Unemployment checks are going to people in prison. Unemployment checks are going to graveyards," Biden said in September. The Labor Department estimates that roughly half of its overpayments are recoverable, but falls far short of recouping that much. Historically, only about a quarter of the estimated "recoverable" overpayments have actually been recovered, said Gay Gilbert, administrator in the Labor Department's Office of Unemployment Insurance. That said, she thinks preventative measures are starting to work. "We believe our improper payment rate has very slightly started to tick down," Gilbert said. When the government finds someone was overpaid, it often issues a letter asking the claimant to return the extra funds. In some states, workers can have repayment waived, if they're in financial distress and can prove the error wasn't intentional. In other cases, government attorneys can take claimants to court if they don't pay back what they owe. They have various methods of recouping the money, including setting up payment plans, garnishing wages or deducting funds from federal income tax returns. In all but the most extreme cases, punishment for fraud can include probation, community service and paying back the money with an extra penalty. Jail time is rare, considering the government wants to see people continue working and paying back the system. 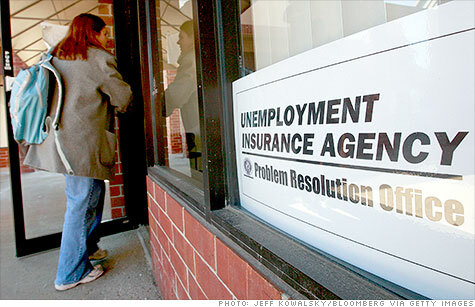 In fiscal 2011, there were roughly 2,700 convictions for fraud related to unemployment insurance.